The market for umanned aircraft systems (UAS) has exploded in recent years and NTS has been there from the beginning, conducting test programs for UAS components, systems, payloads, and completely integrated air vehicles for such clients as the US Air Force and Boeing. “Since UAS manufacturers focus primarily on constructing aircraft, they look to outside partners like NTS to design and test pods and payloads, the components that give UASs much of their functionality”, says Mike Mindt, NTS Aerospace Marketing Director. In December 2010, we increased our capabilities when we acquired Mechtronics Systems Incorporated (MSI) in Albuquerque. As a result, NTS Engineering Services can provide a complete suite of design, development, and testing services for pods and payloads for UASs, as well as prototype design, integration, and limited production for field trials. 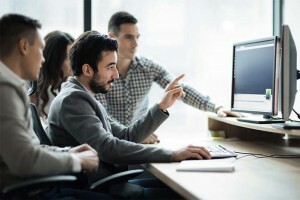 This year, the Federal Aviation Administration (FAA) streamlined the process by which public agencies can apply for authorization to operate UAVs and increased the length of the authorization from one to two years. These less stringent regulations will allow federal, state, and local government agencies to more quickly launch UAVs for such purposes as aerial photography, surveillance, monitoring forest fires and environmental conditions, and protecting our nation’s borders and ports. 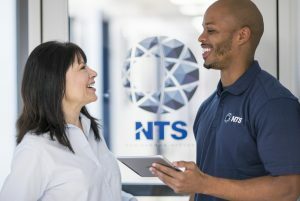 Mike Mindt, Marketing Director for Aerospace at NTS, explains the unique position NTS Engineering Services finds itself in at the beginning this new era in UAV flight and widespread adoption of the technology. The NTS Engineering Services group offers complete engineering solution support from concept to prototype for everything from test equipment; fixtures; hydraulic and complex electro-mechanical systems.